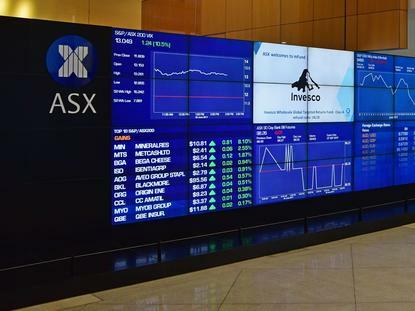 ASX Limited, which operates the Australian Securities Exchange, says that it is eyeing broader opportunities for a new blockchain-inspired platform set to replace one of its key systems. The exchange operator is rolling out a new platform based on blockchain-style distributed ledger technology (DLT) to replace CHESS: The Clearing House Electronic Subregister System, which performs clearing and settlement services for the equity market. CHESS was originally rolled out in 1994. Although the system remains stable, ASX argues that its new DLT-system will offer a range of advantages. “If we look at CHESS today, we see that it sits centrally as the source of truth,” ASX CEO Dominic Stevens said in remarks prepared for a full year results briefing this morning. With a DLT solution, instead of needing to send messages back and forth to reconcile multiple databases, market participants can connect to the system with a DLT node “that forms a perfect chain of title that cannot be altered,” the CEO said. In the interests of backwards-compatibility, instead of running a node participants can elect to receive messages in a similar fashion to how they do today. Connecting via a node reduces the opportunities for errors to creep in, the CEO said. Instead of maintaining “many and disparate databases” that are “expensive to support, upgrade and maintain,” DLT participants will “have a database harmonised with ASX and with each other, meaning applications written for one participant will now work for other participants – further reducing risk, cost and complexity”. The CHESS replacement platform is based on technology from Digital Asset Holdings (of which ASX is a part owner) and supports applications written in DAML, or Digital Asset Modeling Language. Stevens said that means that instead of “multiple applications, in multiple versions, written in multiple languages, sitting on multiple databases” the new system will support a “standard, easy to use smart contract modelling language that sits on a harmonised database”. “Processes and services can be built to operate multilaterally across the system – that is, between one participant and another, not just between a participant and ASX,” the CEO said. The potential of DLT stretches beyond just the equities market, the ASX CEO said, and could include the settlement of bonds or of “other asset classes that financial institutions still manage on legacy technology and with manual processes”. “These represent another large potential opportunity,” he said. “And if all of these improvements were based on a common technology, this should allow our customers who span these different markets to simplify their businesses even further. The new platform is expected to enter production between Q4 2020 and Q1 2021. Stevens said ASX was planning to upgrade its secondary data centre to a “new state-of-the-art, third party facility” that will offer features equivalent to those of its key facility, the Australian Liquidity Centre. The exchange operator is also consolidating six networks into one “streamlined, high-performance network”.